It is 13th century B.C. and aboard the ship Argo, Medea, Jason and the Argonauts make their return journey across the Black Sea from Persia’s Colchis, in possession of the Golden Fleece. David Vann, in brilliant poetic prose, gives us a nuanced and electric portrait of one of Greek mythology’s... read more most fascinating and notorious figures, Medea; an ancient tale reimagined through the eyes of the woman often cast as sorceress and monster. 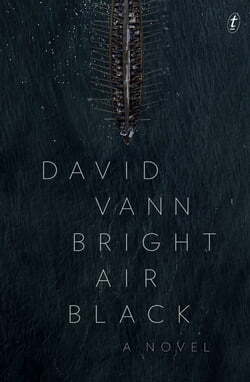 Atmospheric and spellbinding, Bright Air Black is an indispensable and provocative take on one of our earliest texts and the most intimate and corporal version of Medea’s story ever told.David Vann is an internationally bestselling author published in twenty-one languages. He is the winner of fifteen prizes and his books have appeared on seventy Best Books lists in a dozen countries. He is a professor at the University of Warwick in England and lives in New Zealand half of the year.